Not everybody is motivated to work out consistently by themselves, which is why fitness classes are so popular. Somehow having an instructor bossing you around makes it easier to put in the necessary time and effort to get in a good workout. But what if you don’t have the time or desire to go to the gym? Sure, you can use a fitness DVD at home, but I tend to get bored after watching the same video more than a few times. Fortunately, I've found six great sites and apps that provide high-quality video instruction at home. One feature we especially like is the ability to schedule classes — you choose the day and time for class, useful for classes you especially like and would like to repeat on certain days. Other nice features include email reminders that click straight through to a video you've scheduled and an offline mode that lets you view classes on your iPad or iPhone even when you don’t have an Internet connection. My favorite of the pack, FitStar is a beautiful video-based fitness app for the iPhone and iPad designed by NFL pro Tony Gonzalez. 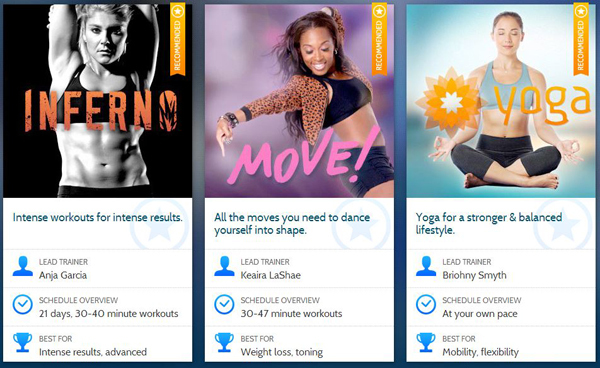 Built on an adaptive platform, the app learns your fitness level as you rate the difficulty of various exercises within each session, as well as how well you're able to perform each move. 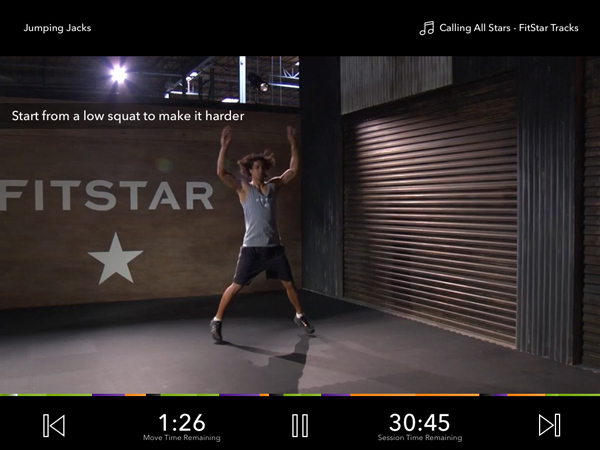 A fitness test when you first launch the app helps FitStar recommend videos appropriate for your fitness level. FitStar's free version gives you two “get moving” sessions per week and access to eight freestyle sessions. Premium access for $5 a month or $30 a year adds unlimited access to all content and the ability to switch between programs at any time. Want still more advice on how to get fitness instruction at home? Here's a great alternative: Use your laptop or tablet to connect with a trainer via video chat. Services start at $19 for a half hour on sites such as Wello. Grokker is a horrible company. The videos are subpar, but the worst is when members try to cancel their membership. Unlike standard internet subscription services, such as Netflix and HBONow, there is no easy way to cancel. Instead you must email Grokker’s support team, who bombards you with upsells, and guilts you into not cancelling your memberships. You must email them repeatedly to cancel.. Once you do cancel, they strip your access away, regardless if you all ready paid for the month or not. Personally, I recommend Gaia or DailyBurn for internet videos. Or even better, Youtube has great free videos, and you never have to worry about cancelling a subscription with Youtube. I also suggest Wello or Powhow. Wello, you can get various fitness classes or one on one. 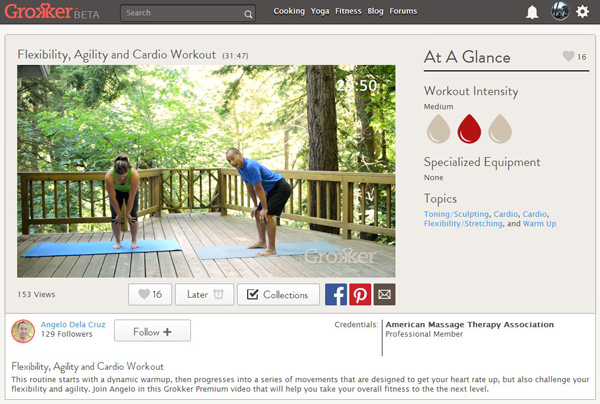 Or with Powhow, you get look up classes and lessons in multiple things (how to play piano, yoga, fitness, cooking lesson, other how to videos) all at a decent price and all can be taken at the comfort of your own home. I’ve always wanted to try yoga but don’t want to go to the classes as I’d feel really self conscious! I have tried a few dvds, but I’m definitely going to give some of the apps a go…be nice to have a bit of variety.. I got one more best collection.. you can also add few of them from here..